B.G. Roberts Electric is a full service provider for all of your electrical needs. We can perform everything from small repairs in electrical circuits to service and panel upgrades. Our staff has years of experience in commercial restaurant equipment repairs, and our aerial bucket truck allows us to service outdoor lighting and electrical signage as well. We can also wire and connect residential hot tub and swimming pool wiring. 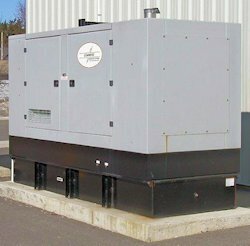 We have performed a large number of commercial generator installations and repairs for both government and private institutions in Northumberland County and are fully authorized to perform BUNN-O-MATIC equipment repair. We are also pre-authorized contractors licensed by the Electrical Safety Authority of Ontario. Working alongside our sister companies, Alliance Security Systems of Northumberland Ltd. and Compton's Telecommunication Services we can often integrate different systems to work together seamlessly, making the end product simple and more cost-effective than using different contractors for the same scope of work. Here at B.G. Roberts Electric we are always careful to approach any installation, both large and small, from your point of view and we always design these systems with your best interests in mind.